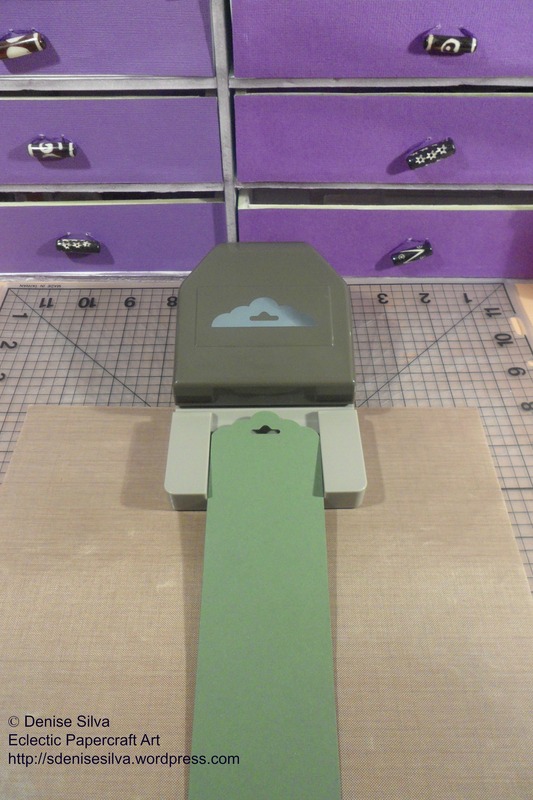 Scalloped Tag Topper Punch by Stampin’ Up! Some sort of glue. I used liquid glue. * Always Artichoke is a cardstock from a collection called Regals, offered in different sizes. ** Pistachio Pudding is a cardstock from a collection called In Colours, offered in different sizes. I punched my piece of Always Artichoke cardstock measuring 17.5cm x 5cm, with the Scalloped Tag Topper Punch. 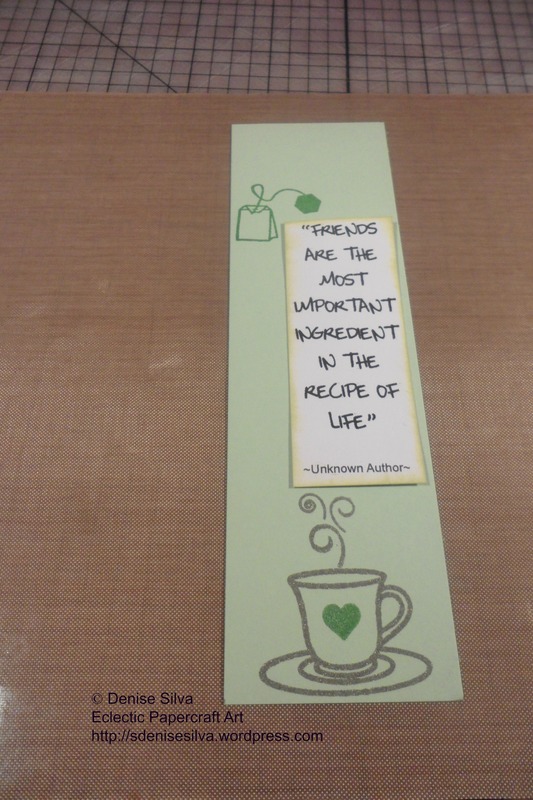 Trimmed my quote to 7,5cm by 3cm, and sponged the edges with Shabby Shutters distress ink. 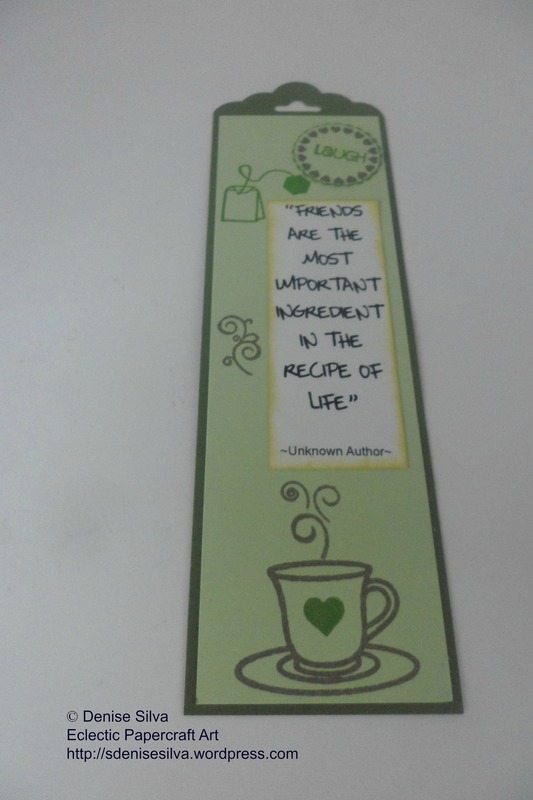 I then moved to the second layer, the piece of Pistacho Pudding cardstock measuring 15.5cm x 4,6cm, and stamped the cup, the steam and the heart from the tea4two stamp set, the teabag from the moretea4us stamp set, and attached the quote. Then I had the 1″ circle scalloped punch and the minis4circles stamp set on my hands, so I went ahead I stamped the word ‘Laugh’ and the circle of hearts in a scrap piece of Pistacho Pudding cardstock, punched it out and inked the edges with Pearlescent Thyme ink, gluing it on the top right hand side. 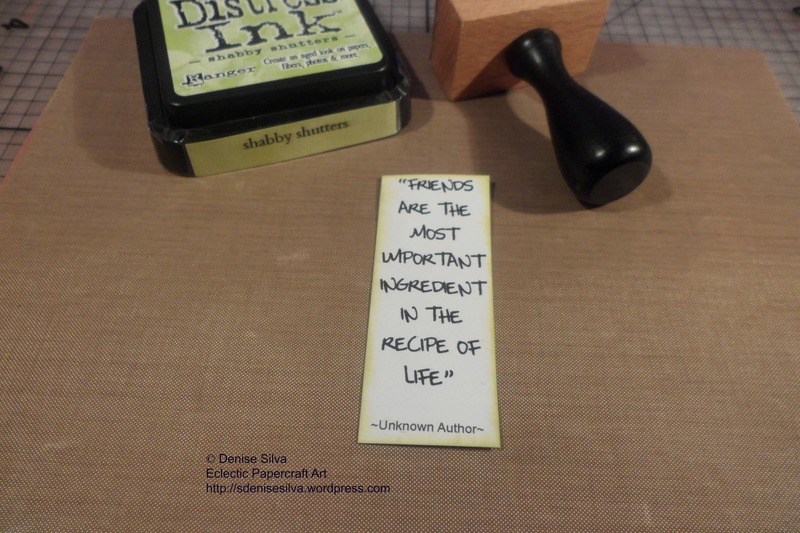 This entry was posted in Bookmarks and tagged Handmade bookmarks, handmade presents and gifts, Inking, paper art, papercraft, quotes, Stampin' Up!, Stamping. Bookmark the permalink.